Hundreds of thousands of protestors all over France have been demonstrating for the last eight days. 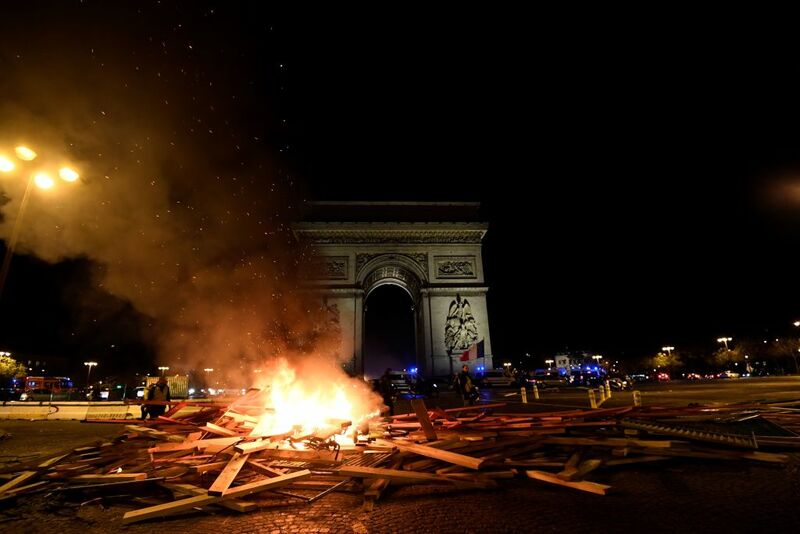 Mostly the protests have been peaceful if disruptive, but some like the ones in Paris have turned violent. The police have used tear gas and water cannon; there have been dozens of arrests and at least two deaths. But amid the misery and mayhem, there’s one small crumb of consolation: these protestors could be ringing the death knell for the green tyranny which has held the West in its thrall for the last four decades. 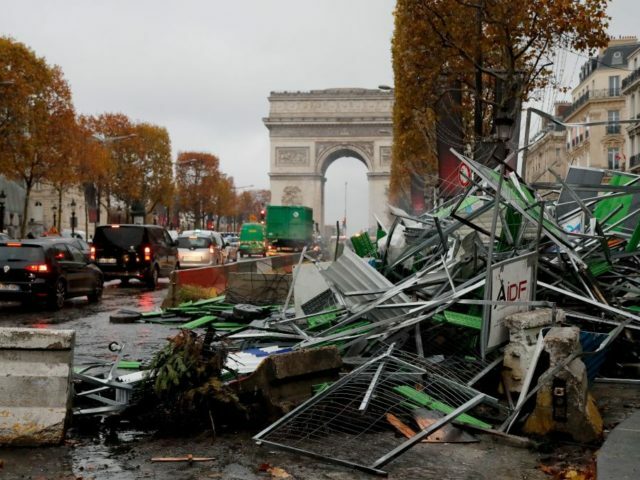 Unlike the rabble of UK eco-activists who’ve been irritating Londoners over the last couple of weekends (blocking traffic; gluing themselves to the doors of government buildings; trying to get arrested), the protestors in France think environmentalism is the problem, not the solution. 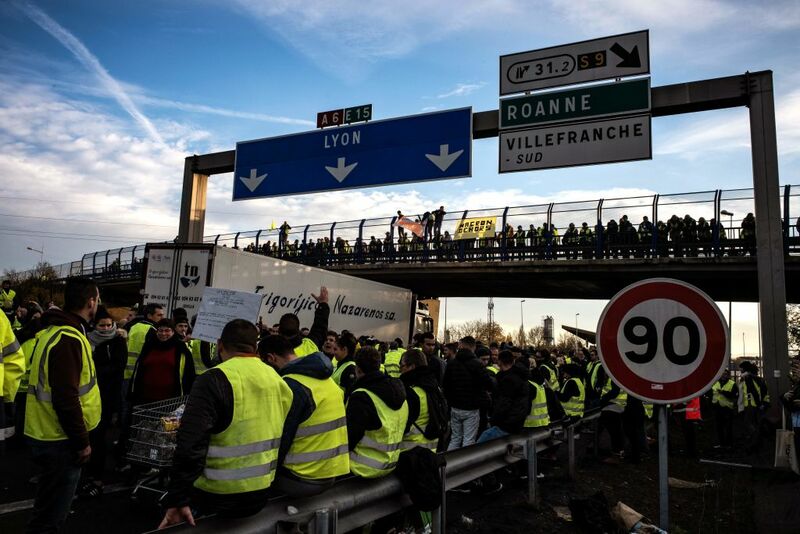 Known as the “gilets jaunes” – named after the hi-vis fluorescent yellow waistcoats that all French motorists own because they are required to do so by law – the protestors are rioting against President Macron’s green policies. Specifically, they object to the government’s carbon tax and its attempts to price drivers off the road with higher fuel costs. Mouraud’s video went viral, and has been viewed by more than six million people. “I have a thing or two to tell you,” she starts out. The stream of accusations includes the price of fuel, the “hunt” for diesel vehicles, the “forest” of radars [speed cameras], the number of traffic tickets, the possibility tolls may be charged to enter large towns and rumours of mandatory bicycle registration. That French official quoted at the end is right to fear that “democracy is also at stake.” But not in quite the way he imagines. For decades, the liberal establishment which runs the Western nations has used green issues – climate change, especially – as an excuse to hike taxes and regulation while adopting the guise of environmental righteousness. But the state’s ability to go on achieving this will depend a) on the public’s willingness to go on believing that the climate is a man-made problem which can be solved by government intervention and b) the public’s tolerance for higher and higher prices.